Why does our skin need more oxygen than from the air around us? Today, our environment has many more pollutants present and these external aggressors in turn affect our skin’s overall health. Free radicals from these pollutants penetrate the skin, causing our cells to become unstable (lacking an electron) leading to the spreading of free radical damage and skin aging. Our lifestyle choices (eg, smoking, drinking and caffeine) can also affect the condition of the skin and the way to promote healing and the elimination of toxins is through skin oxygenation. 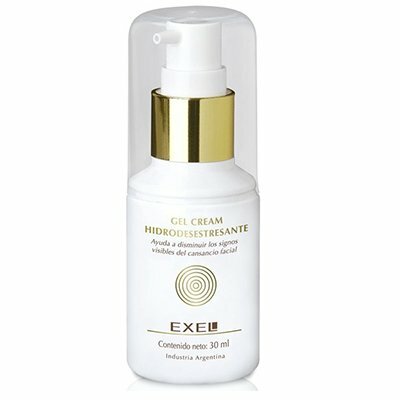 How do you induce skin oxygenation? Oxygen facials are a fantastic way to see the benefits of oxygen on the skin, but what do you do in between treatments, especially if you are unable to have facials as regularly as necessary? Topical application of Dry Extract of Live Yeast Cells (Yeast Saccharomyces cerevisiae Extract) can also oxygenate the skin, meaning you can continue having the benefits of oxygenation on a daily basis at home. Vitamin E Liposomes: A powerful antioxidant encapsulated in a liposome, a delivery system which allows the active ingredient to reach deeper layers of the skin, where they are able to and be dispersed to benefit targeted skin cells. Vitamin E repairs the cells and protects against further damage, while supplying the skin with essential moisture, preventing dryness. Daytime: After cleansing and balancing the skin with a toning lotion for your skin type, apply Hydro-Destressant Gel Cream to the face and neck with a gentle pressing motion until completely absorbed. Follow by applying sun protection.